In the 1990’s there was an emphasis placed on corporations, providing product and/or services, to centralize their data infrastructure and eliminate the need for multiple legacy systems. The concept was introduced and technology was available as early as the 1970’s. As companies were having budgets approved to accommodate the purchase and implementation of the Enterprise Resource Planning (ERP) they selected, they were having trouble with their go-lives. Blame can be passed around, and rightly so, to the implementation partner (they didn’t understand our business process..), the client (scope creep, budget was too small..), the ERP provider (too many technical issues on different platforms..), or anyone that had any involvement with the project. ERP implementations began to streamline with introductions of simple tools to keep projects on course. Documentation structures, Methodologies, Auditing companies/departments all played important roles in ensuring the implementation of the project was smoother. As ERP providers began offering preconfigured instances, or industry solutions, or certified interfaces from other systems, the success companies had was enhanced immensely. However, the underlying theme in any successful implementation is the integrity of the data. Consistent representation of data provides consistent outputs, and information systems. It allows integration points from different departments of organizations to share information real time. The smoother the flow of data, the more effective the ERP. To obtain the best successes, there were two important concepts vital to the success of these projects. The first is Organizational Change Management, and the second is Detailed End User Training. The two are independent efforts, but are the lifeline to the project efforts after go-live. If the organization has ‘bought into’ the thought that the application being implemented is viewed as vital to growth and sustainability of the company, then the training of each end user must be mission critical. As companies started paying attention to these efforts, and had data to substantiate the importance of OCM and Effective Training, it became imperative that companies include these objectives into their budget to enhance the chances of a successful go-live. 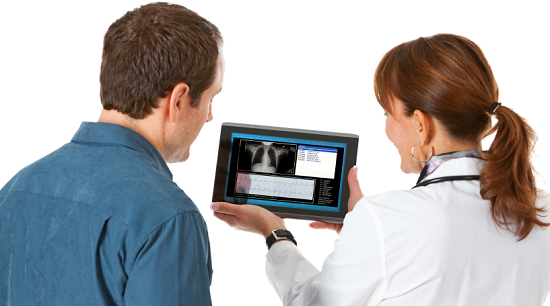 Healthcare, which is a few years behind most industries, is now jumping on the ERP bandwagon. The industry, however, identifies their version of ERP as Electronic Medical Records (EMR) or Electronic Health Records (EHR). The patients are the customers. Like the ERP market, there are many different types of EMR’s to choose. The EMR implemented will provide all of the functionality required to satisfy Meaningful Use, HIPAA security, Quality standards, Coding, and have interfaces or add-ons for Practice Management, Clearinghouse and Electronic Prescriptions and Labs. The Healthcare Information Exchange will allow EMR’s to pass information regarding patient’s securely. All of the infrastructures are in place, all of the process flows have been addressed, yet there are hospitals like the one mentioned in this article that did not do their homework on the challenges faced by many corporations in the early 1990’s, and include OCM and Effective Training. EMR implementations typically will have two separate forms of Change Management. The first relates to changes in the business process flow. Nurses, or any department in a Hospital, are very good about following protocol. They know exactly where they need to go to order labs, to get results, to discharge or admit, to record vitals…, however depending on the EMR, the change in their process may be slight, or significant. Either way, identifying why there are changes in the business process flow is important to understand the second form of Change Management…technological. It is important, from a OCM perspective, to allow the person using the application understand what happens to the data collected and processed before, and after their inputs. Understanding that other departments are dependent on the integrity of the data provided downstream, will ensure the date processed will continue to flow consistently across the organization. If the Registrar correctly enters policy information for the patient, the eligibility check will have a better chance of performing an accurate check for benefits. If nurses correctly enter the admission/discharge information, then the Revenue Cycle team can generate a clean claim to the clearinghouse. When all the departments understand what happens to the data they are responsible for, the organization message will be understood, and thus better received. There have been many successful EPIC rollouts to other hospitals, so I suspect that perhaps it is not the EMR. From my experiences working with technology in healthcare the past 9 years, I would make sure I recognize the importance of getting everyone on the same page, and pulling from the same side of the rope by investing in OCM services and effective training.